​Over-articulated and barely translated, Gbedu Town Radio is the sound system to your livest African party. Covering sounds of Afro-diasporic street and club music from the 60s until present; Afrobeats, Dancehall, Soukous, Funk and Highlife, and featuring a lively ensemble of dancers and musicians representing Africa, they are your passport to an upbeat romping, dancing and wailing good time. The Chinyakare Ensemble is a family of musicians, dancers and teachers committed to preserving and sharing traditional Zimbabwean culture, and promoting community building and education through music and dance. Chinyakare presents an electrifying performance of the traditional dance, music, and culture of Zimbabwe and Southern Africa. The music (played on mbira, ngoma, marimbas, and chipendani), songs, and dance weave colorful stories that show scenes from everyday life, while teaching important life lessons, such as goal-setting, perseverance, and thankfulness. Chinyakare provides audiences with a glimpse of the beauty, excitement, and spirit of traditional African dance and song. ​Julia Tsitsi Chigamba, founder and director or the Chinyakare Ensemble, grew up in the rich cultural traditions of Shona music and dance. She is the daughter of the highly respected gwenyambira, Sekuru Chigamba, and a longtime member of Mhembero, the Chigamba family dance and mbira ensemble, as well as the National Dance Company of Zimbabwe. Julia came to the US in 1999. Two years later, in Oakland, California, she established the organization Tawanda muChinyakare and the music and dance company Chinyakare to share the beauty and wisdom of her culture in the US. Julia continues to teach dance, music and culture in Oakland schools and in the community. Selamta Band is an Afro-Fusion, Jazz and World Music band. Each member of the band is an accomplished musician with recording credits and international touring experience. Selamta includes Tony D on Drums, Elias Negash on Keys, Teddy Shawl on Bass and Baible Getachew on Keys. Featuring special guest Meklit Hadero, Tsedi and others, they deliver an exhilarating performance. ​Fatima Zohra Lahlou was born in Fes, Morocco and grew up surrounded by musical traditions of classical Moroccan music. At 15 years old she began her training under Haj Mohammed Bennis, Morocco’s renowned musical instructors. During the same time she began her formal training at the Fes Conservatory of Music were she was acquainted with the sounds of Al Andalus. In 2008, Zohra was commissioned to direct and perform in a musical theater performance celebrating the 1,200 year Anniversary of the City of Fes. She has preformed for the King of Morocco and on national television. Her musical career has taken her across the world, performing in France, Spain, Switzerland, Indonesia and the United Arab Emirates. To spread and build cultural bridges Fatima moved to the United States to began her new experience in which she has a chance to sing at the City Hall of San Francisco and also at Oakland East Bay Symphony in a festival called Notes From the Middle East. Attending a MJ’s Brass Boppers shows is the next best thing to following a brass band down New Orleans’ famed Claiborne Ave. The swinging and singing brass-line is the Bay Area’s only New Orleans-style brass band whose founding members were born and raised in NOLA itself. This eight-piece group’s sound has been meticulously formed over years of practicing and experimenting together, fusing classic NOLA performance with funk, jazz, modern pop, and a second line twist. Since 2008, the tight knit musicians have written, practiced, and performed together at festivals, fundraisers, community events, nightclubs, street corners around the Bay Area, and more. Young Gifted and Black is a model for empowerment for African American people all over the United States. It is an attempt to restore the memory of our youth for future generations, and reinforce the importance of our knowing, protecting and teaching our history. Toward this effort YGB engages in specific activities aimed at spreading the word about Black history and the model of Young Gifted and Black. 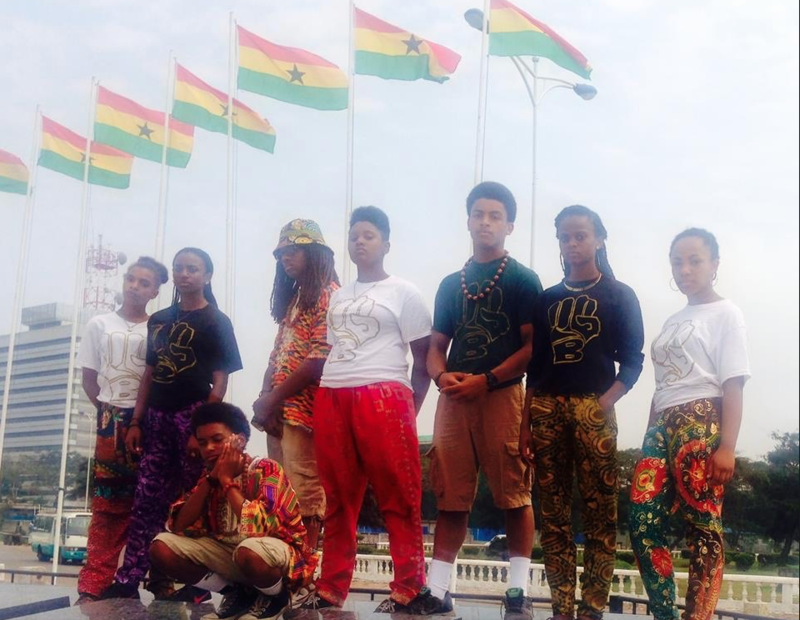 ​Afro Urban Society is a celebration and recognition of the African-Urban experience as a local and global phenomenon. 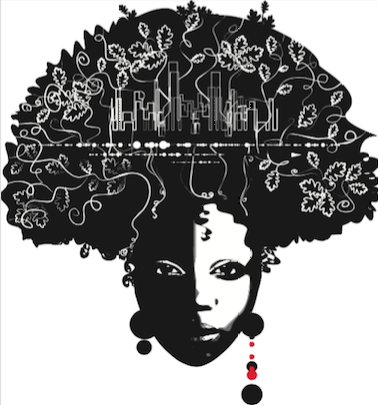 Afro Urban Society exists to highlight and preserve the resiliency, interconnection and existence of people of African descent in urban settings through art performance and social engagement. We aim to sustain the unified yet unique expressions of African Urban life by featuring and engaging Black/African performers and cultural workers through a curated production of street and contemporary music, dance, visuals and other artistic expressions. DJ Claude "The Black Bangando"
​"The entertainment emissary for your joy and happiness on the dance floor." ​That's how Claude describes himself as a DJ. Born and raised in Gabon, his mother used to play vinyl every Sunday of African artists' such as Mbilia Bell (Congolese rumba), Tshala Muana (known as the queen of Mutuashi in DRC) or Papa Wemba (congolese rumba, soukous and ndombolo). All these artists and their music helped influence Claude in his taste for music. This is why congolose Rumba, Soukous, and Ndombolo, in addition to the emerging genres such as coupe decale (Ivory Coast), HipLife and Azonto (Ghana), and Highlife(Nigeria) have also found their place into Claude's first choice of music. That's why Claude is well known for always playing the latest African hits.